Of all the Norwegian black metal bands, Immortal have, arguably, stuck the closest to the mystical, dark fantasy and occult-inspired vision of the scene. Beginning in the early '90s, the Bergen group slowly rose to worldwide stature as one of genre's most respected bands, eschewing the over-the-top classical structuring and progressive experimentation of many of their peers in favor of purity and precision. Applying a power trio format to the traditional black metal sound of early highlights like Pure Holocaust (1993) to the thrash fusion style of their mid-period Peter Tägtgren-produced classics At the Heart of Winter (1999) and Sons of Northern Darkness (2002), Immortal disbanded for a time in the 2000s before making a heroic return with their 2009 career breakout, All Shall Fall. Following a legal disagreement that saw a second change in membership, a new version of the group resumed recording for 2018's Northern Chaos Gods. Brothers in pseudonym only, vocalist/bassist Abbath Doom Occulta and guitarist Demonaz Doom Occulta formed Immortal in Bergen, Norway in 1990. Abbath was originally a member of Old Funeral, a death metal garage band that also included Varg Vikernes, who would later gain notoriety not only with his own project, Burzum, but for murdering Mayhem guitarist Euronymous; Demonaz had split from fellow Bergen scenesters Amputation. Inspired by the robust Norwegian forests and bitter cold climate, Abbath and Demonaz conceived the fictional, demon-and-battle-filled realm Blashyrkh, a foundation upon which Immortal's lyrical journeys would rest on future releases. 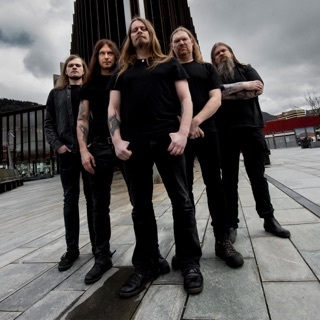 The duo recruited drummer Armagedda and, briefly, second guitarist Jorn Inge Tunsberg, who left the fold after Immortal cranked out two demos, Suffocate and Northern Upins Death. Preferring to remain a three-piece, the band recorded the "Unholy Forces of Evil/The Cold Winds of Funeral Frost" 7" for French label Listenable Records in 1991, which eventually led to Immortal's contract with another French imprint, Osmose. Their debut full-length, Diabolical Full Moon Mysticism, was released in 1992, and proved a more atmospheric, slower-tempo release than the majority of Immortal's contemporaries. When Abbath and Demonaz began incorporating more blastbeats into their songwriting, Armagedda quit, forcing Abbath to perform all the drum tracks on Immortal's next two highly influential albums, 1993's Pure Holocaust and 1995's Battles in the North. However, drummer Grim was pictured on the Pure Holocaust album cover, and would perform on Immortal's first full-fledged European tour in 1993, prior to being fired. Mayhem skinsman Hellhammer temporarily filled the drum seat for the band's live commitments and the home video Masters of Nebular Frost, until full-time sticksman Horgh could be permanently added to the lineup. Following their 1997 album, Blizzard Beasts, Immortal were dealt a serious blow. With an acute case of tendonitis in his arms, Demonaz could no longer play guitar with the speed and intensity the band required, and was forced to leave the lineup as a full-time member, although he continued to provide the group's lyrics going forward. Abbath switched from bass to guitar, and the group filled its bass slot with Aeturnus four-stringer Ares strictly for touring duties. Demonaz's absence left the band's songwriting burden primarily on Abbath, who began penning more progressive, dynamic, and epic pieces set to Demonaz's lyrics. Abbath would perform all instruments except drums on 1999's highly acclaimed At the Heart of Winter full-length, which marked the beginning of the band's relationship with producer Peter Tagtgren (singer/guitarist for Hypocrisy), who recorded Winter and its two follow-up albums at his soon-to-be-legendary Abyss Studios. Bassist Iscariah was then permanently added to the lineup that put out Damned in Black in 2000, and led to Immortal's first full-fledged North American tour, with fellow Norwegians Satyricon. 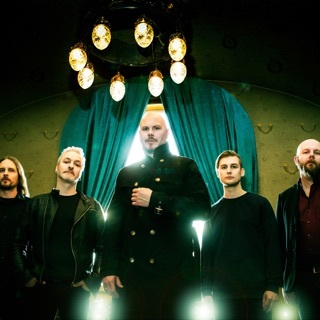 In 2001, the band, looking for better U.S distribution for its albums, severed its longtime relationship with Osmose and signed to Nuclear Blast, which released their highly regarded seventh album, Sons of Northern Darkness, in 2002. By the following year, things had begun to fracture, and in the summer of 2003, Immortal announced that they were disbanding. After only two years, Abbath, Demonaz, and their early drummer Armagedda formed a new project with Gorgoroth bassist King ov Hell and Enslaved guitarist Ice Dale called I. 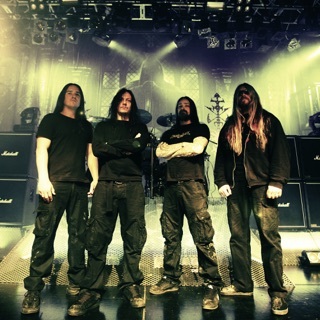 This black metal supergroup issued a single album, 2006's Between Two Worlds, before Abbath, Demonaz, and Horgh announced that Immortal would reunite to play a string of tour dates in 2007. 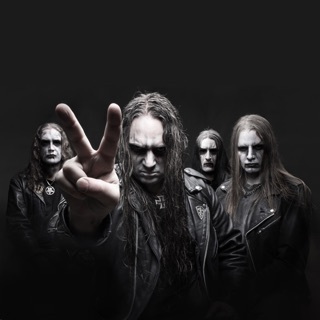 With Demonaz still acting as lyricist, Abbath and Horgh were joined on-stage by incoming bassist Apollyon, who also appeared on the comeback album All Shall Fall. Released by Nuclear Blast in September 2009, All Shall Fall was a major critical and commercial success for Immortal, making strong chart placements in Norway, Finland, and Germany, and even cracking the Billboard 200 in the U.S. The following year, a live DVD, The Seventh Date of Blashyrkh, was issued, culled from the band's 2007 reunion tour at Germany's famed Wacken Open Air Festival.